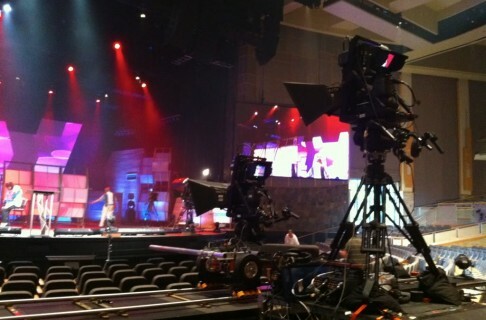 Starting in 2010, the Leadership Summit has been recorded in HD with a full HD Production truck. However, the actual satellite broadcast has still been done in Standard Definition, mainly due to the fact that all of the satellite sites would need to have upgraded hardware & infrastructure to handle an HD satellite signal. We hope to be able to go to a full HD signal path in the next year or two. 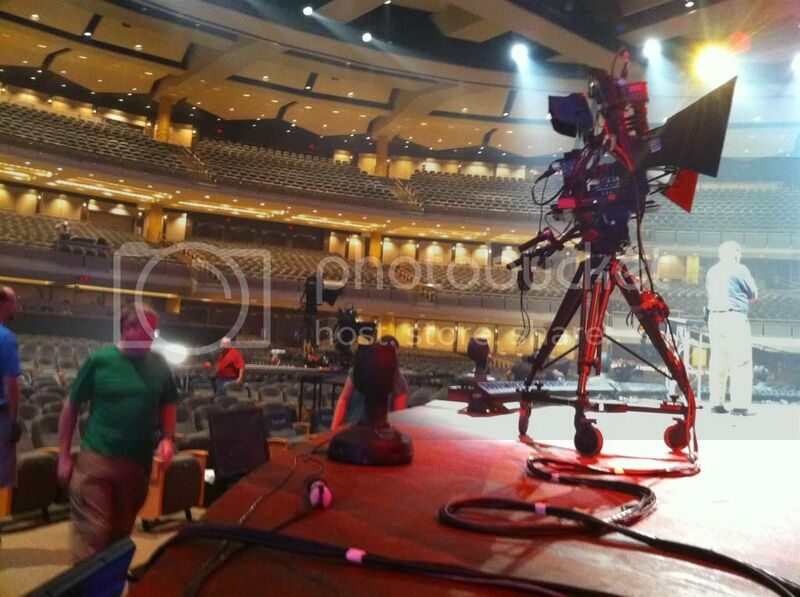 Regarding, which cameras we’ve been using for the Leadership Summit. Three years ago, it was all Sony HDC-1500U cameras, but the past two years, we’ve used mostly Hitachi Z-HD5000 & a couple of Z-HD1000 cameras. These are part of the TNDV Aspiration Production truck that we’ve brought in to do the show.